Over three decades ago, as a peso-pinching backpacker in South America, I first tasted Argentine wine. In the Bizarro world of an Argentine economy where prices sometimes rose 50 percent in a month, it astonished me that a bottle of wine could cost less than a liter of a sugary soft drink that I will refrain from naming, since it needs no more global publicity. 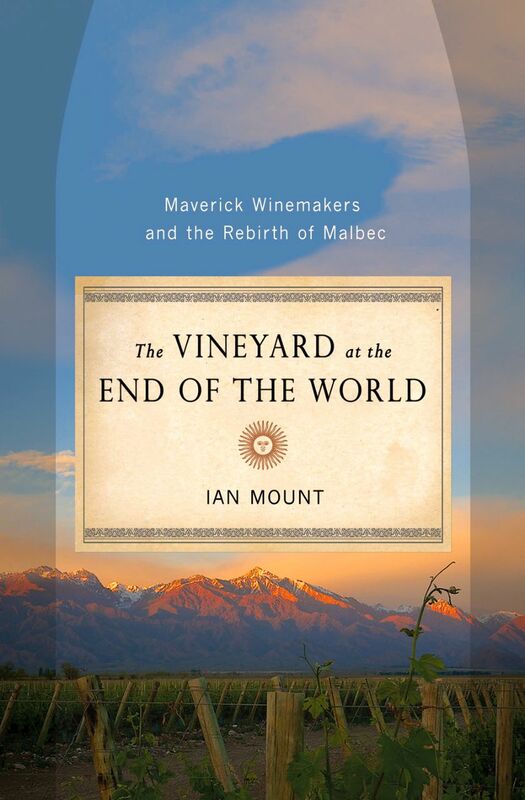 Now, after reading Ian Mount’s The Vineyard at the End of the World, I realize that many if not most Argentine wines of that era probably were worth less than a plastic bottle of colored, carbonated, artificially sweetened water. In this entertaining analysis of vines, wines, egos and intrigues, from colonial times to the present, the Buenos Aires-based writer points out that Argentines primarily consumed cheap table wines by producers who valued quantity over quality. Under the 1976-83 military dictatorship, which took over managing the bodegas of the shadowy dealer Héctor Greco (it’s hard to call him a producer), domestic bulk wine prices fell by more than 80 percent. In retrospect, though, hitting bottom was the best thing that could have happened. The rest of Mount’s story builds on the eye-opening experience of Nicolás Catena, one of the few winemakers who managed to survive the crash of the 1980s, who visited the Napa Valley while on sabbatical in Berkeley. His experience there gave Catena (whose daughter Laura wrote the Vino Argentino guide that I reviewed a little over a year ago) the idea that, like Napa, his Mendoza homeland could produce New World wines to challenge the hegemony of European producers. Catena started with traditional French varietals like Chardonnay and Cabernet Sauvignon and had success with those, aided by consultants such as the American Paul Hobbs. Technological innovations included drip irrigation instead of flooding the fields, stainless steel tanks in place of epoxy-lined vats, and oaken barrels in lieu of picturesque but useless casks. They took advantage of Mendoza’s unique micro-climates, where high-altitude vineyards favorably altered the balance between sugars and tannins. Malbec’s become such a success that even French vintners have turned their attention back to the grape that Michel Aimé Pouget had brought to Mendoza in the 1850s. It’s worth adding that other European consultants, most notably Michel Rolland, have played key roles in the Mendoza boom, which has made the western desert city a destination for tourists as well. So many wineries are open for tours and tasting, it’s hard to keep track of them, and that’s without even mentioning underrated areas like the northern province of Salta, renowned for its fruity white Torrontés. Three decades ago, when I first tasted Argentine wine, I didn’t really know what to think about it. Now, with the help of this rewarding read, I can put the changes since then in context. Wine aficionados, those who enjoy the occasional glass, those who know Mendoza, and those who want to know it better should find it equally rewarding. On another level, it’s also a case study of how an industry recovers and flourishes in a challenging economic environment. Torres del Paine: The Final Word for 2012?